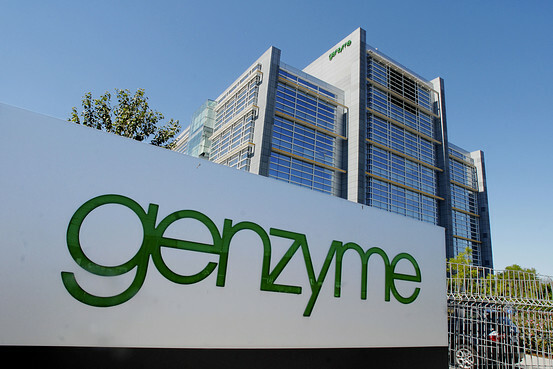 Genzyme, a Sanofi company, today announced a new global initiative, vs.MS, that is designed to raise awareness of the often unspoken emotional and physical burden of relapsing multiple sclerosis (RMS) on people living with the disease and their care partners. To better understand the full burden associated with RMS, Genzyme fielded a global survey among more than 1,500 people living with RMS and their care partners across seven countries. An initial set of data from the vs.MS global survey will be shared for the first time at the 31st Congress of the European Committee on the Treatment and Research in Multiple Sclerosis (ECTRIMS) in Barcelona, Spain, October 7-10. While at ECTRIMS, Genzyme is bringing together thought leaders from across the MS Community representing people living with MS, healthcare providers specializing in the disease, and advocacy groups to review the full vs.MS survey findings and begin developing a program that will be rolled out to the community. To unveil the initial vs.MS survey results at ECTRIMS, Genzyme is hosting an interactive digital experience at their booth, as well as sharing the findings via the @GenzymeCorp Twitter handle. For each individual who participates in the interactive digital experience and for every retweet that includes the campaign hashtag #vsMS, Genzyme will donate 5 Euros to the Multiple Sclerosis International Federation (MSIF) in support of the organization’s research efforts. Data from the vs.MS global survey will provide a glimpse into the impact the disease may have on various aspects of day-to-day life for people living with RMS. For example, half of respondents feel their ability to progress in their career has changed for the worse since they were diagnosed with RMS, and 40 percent are concerned about being able to keep their job. The vs.MS survey also reveals the effect of RMS on the emotional well-being of those living with the disease and their care partners. For example, more than half of respondents living with RMS feel lonely or isolated because of their MS, while more than half of care partners do not discuss their fear of MS progressing to avoid upsetting the person they care for. The vs.MS survey was fielded among more than 1,500 people across seven countries, including people living with RMS and RMS care partners. Developed with input and guidance from a steering committee of leading global neurologists specializing in MS, the online survey addressed topics such as progression and disability; cognitive challenges; relationship and intimacy issues; emotional burden; fatigue and sensitivity; bladder and bowel challenges; and impact of MS on careers. In the coming months, Genzyme will reveal the full vs.MS data set and partner with the MS Community to encourage behavior and attitude shifts in an effort to drive better outcomes for those affected by the disease.